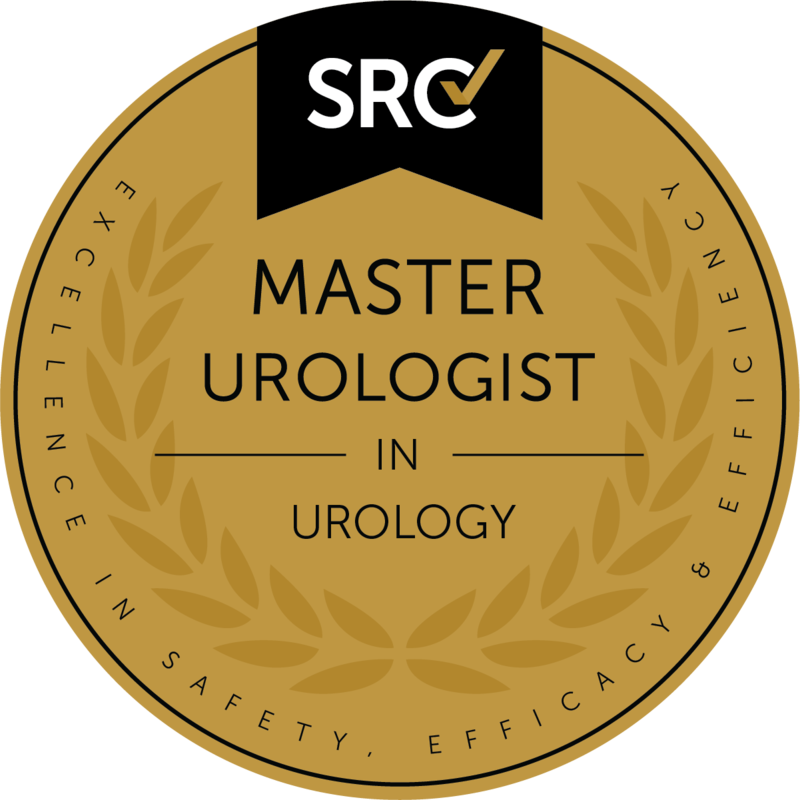 In partnership with key opinion leaders and industry professionals, SRC developed the Master Urologist in Urology (MUU) program. The MUU program identifies urologists who provide excellent urological care and are dedicated to continuously improving healthcare quality and patient safety. Designees will receive a unique seal and certificate that they can use to promote their Master Urologist status. There is no hospital co-accreditation requirement. The hospital is not required to pay program fees or meet the COEU requirements. However, the hospital must be willing to participate in the inspection (whether virtual or on-site) that is conducted to verify the urologist’s compliance with the MUU requirements. The MUU program is an excellent way for patients to identify world-class urologists who hold themselves to a higher standard. The applicant has served as the primary urologist for at least 225 urology procedures in their lifetime and performs at least 175 procedures annually. Procedures performed at any facility may be used toward volume. Urologists must have served as the primary urologist for a procedure to qualify. If the urologist’s role as primary urologist has been properly documented, procedures performed during fellowship may qualify. Cases in which the urologist served as co-urologist or assisting urologist do not qualify. The applicant performs urology procedures in a facility that has a full line of equipment and surgical instruments to provide appropriate perioperative care for their patients. The applicant’s facility has documented training for appropriate staff in the safe operation of this equipment. The applicant spends a significant portion of their effort in the field of urology and has active, full privileges in urology at the facility participating in their inspection. The applicant is board-certified or an active candidate for board certification in urology by the highest certifying authority available. The applicant completes at least 12 hours of continuing medical education (CME) focused on urology every three years. Only American Medical Association Physician’s Recognition Award Category 1 Credits or similar credits from a CME accrediting body outside the United States or three national or international meetings qualify. Each applicant urologist performs each urological procedure in a standardized manner as allowed by variations in operative circumstances. Each applicant urologist uses a template for operative note dictation that ensures proper collection of data for urological procedures. The applicant has nurses and/or physician extenders who provide education and care to patients. The applicant performs urology in a facility that has an operative team trained to care for urology patients. The applicant must provide all urology patients with comprehensive preoperative patient education. The applicant must collect prospective outcomes data on all patients who undergo urology procedures in SRC’s Outcomes Database (or a similar qualifying database) in a manner consistent with applicable patient privacy and confidentiality regulations. This de-identified data must be available to SRC for initial and renewal inspections or upon request. Discounts may be available for urologists that participate in multiple accreditation programs. Contact SRC for details. Inspections for Master Urologist accreditations are performed on site at the surgeon’s location. The site inspection fee covers a one-day inspection with one site inspector and includes one Master Urologist. A day will be added to the site inspection for every additional co-applicant urologist. Each additional day is $925.